I made these "Yummy Mummies" for a class Halloween treat one year. All you need are regular size Hershey candy bars (I'm sure you could make these with other sizes too), hot glue, googly eyes, and white crepe paper. 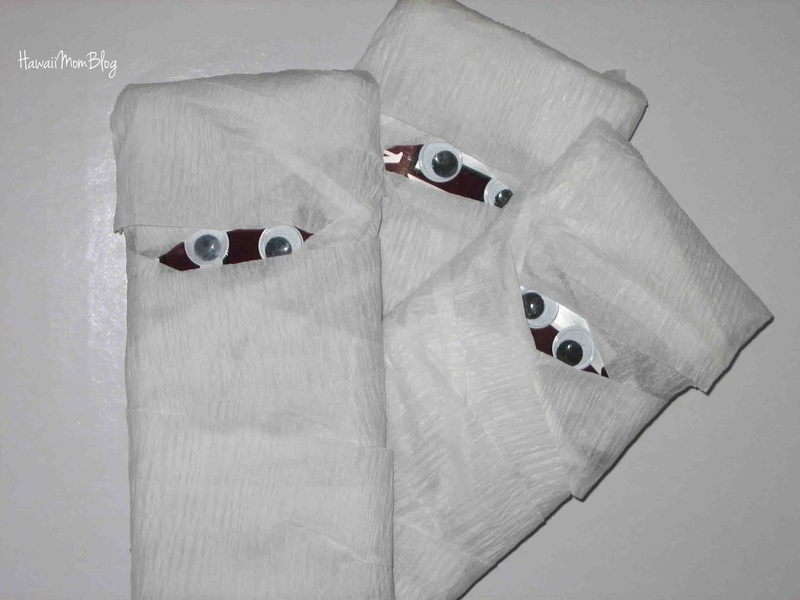 Simply wrap the crepe paper around each candy bar, making sure to leave a space to glue on the eyes. I admit it was harder than I thought it would be to wrap the crepe paper neatly around the candy bars, but it's an easy enough activity that your kids can do too.